What makeup lover doesn't get all giddy at the sight of a new palette? I love trying different palettes, and many of mine come from the Coastal Scents website. I love the quality, variety, and of course the prices. I've been asked quite a few times how Coastal Scents compares to BH Cosmetics, a similar online brand. After saying "I'm not sure, I've never tried BH Cosmetics" enough times, I finally decided I'd check out the website and order a palette. The Jenni Rivera palette caught my eye as something unique from BH Cosmetics that other brands weren't offering. At first I didn't know who Jenni Rivera was, but apparently she's a Latin singing sensation who joined forces with BH Cosmetics to create this palette. Sadly, I've also learned that Jenni Rivera passed away this past December. I'm so sorry to hear that! It sounds like she was a beautiful and dearly loved person. This 36 color eyeshadow & blush palette is selling for $11.95 now... though I think the price was around $25 when I bought it. I've had it for several months, but am just now really diving in to play with it. I love that the palette combines many different eyeshadow colors and textures (matte, shimmer, metallic), as well as six really pigmented blushes... I think I'd wear all of them! As far as the quality of the shadows and blushes- it really reminds me of Coastal Scents, which I enjoy very much. The shadows have a softness to them, but they aren't overly flaky. I love that this palette throws in some colors... but there's nothing in here that's so wild or loud that I wouldn't wear it. So here's the look I created yesterday (didn't have time to get this blog posted at the time!) It's got a summery pop of peach, but a little smokey depth on the outer corners. By the way- on my lips I'm wearing Neutrogena Moisture Smooth Color Stick in Fresh Papaya. 4. I used this shimmery plum shade in the outer corner, and also smudged this shade and the medium brown under my eye for a bit of a smokey look. This plum reminds me so much of MAC Beauty Marked! Blush: I applied the peachy blush with golden shimmer- it reminds me of The Balm's Hot Mama blush! Swatches of shades 1, 2, 3, and 4. Does anyone else have this palette? I was really pleased with the look I created. The shades were pigmented and they blended quite easily. I look forward to trying more looks with this kit. Again, this is the only BH product I've tried, but quality wise- BH Cosmetics seems to be on par with Coastal Scents in terms of their shadows and blushes. There seems to be a lot of overlap when it comes to certain palettes these brands offer, but if you really look through both websites, you'll find a lot of unique products from each line as well. Thanks for checking out this post! Had a fun weekend with Mom & Dad visiting! Shot a fashion video today... it'll be posted tomorrow! I'm showing a couple of high-low dresses and a couple of more casual outfits as well. It's not raining today! Woohoo! Amazing story in the news today about the 3 missing Ohio women who were found alive after 10 years!! I'm so intrigued by this. Sounds like law enforcement officials have a lot of investigating to do. Oh my gosh, this palette looks fantastic! I just love those blush colours. (I might be a bit of a blush addict, but I think that's okay!) I've never tried anything from them before, but from the looks of this palette, I might have to! (which I did) there are some similarities. I also found some very familiar looking palettes on ebay for much cheaper but they have no name on them (shipping from Hong Kong) hmmmmmmmmm? I know this comment is long but I just thought I would share because well....makeup gossip is the best gossip right? :) You look beautiful! As always! Thanks for the review! I love the way this palette looks, and the look you created on yourself is beautiful! I recently bought this palette and love it!! gorgeous make up!i liked a lot your eyes! Now i will definitly get it! The xolors look beautiful.. I've had this palette since it came out, since I was (i stilll am) a huge fan of Jenni Rivera. Tragically, she died in December when the plane that she had chartered, crashed. I had no idea what to expect when I ordered the palette, since at that time it was my first time ordering from BH Cosmetics. I was very pleased with the palette. I totally agree with your review! Thank you. Hey Ladies, I just checked out the BH Website because I was interested in this palette. They are having a Cinco De Mayo special with the Jenni Palette, a liquid liner pen and a 15 piece brush set for $22. DEAL! The deal is only good through midnight so jump on it! I have quite a few palettes from BH Cosmetics and I'm always happy with them. I'd love to get my hands on this, but I don't need anymore eyeshadow palettes! This looks like it would make a great versatile travel palette. Great review, Emily! 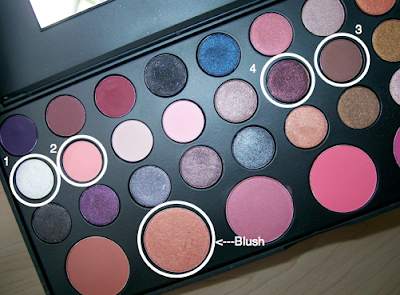 I have this palette. I love it. Its been mu favorite for april. I used almost everyday. I am not a fan of the BH palettes, I have 2 of the eyeshadow ones and 1 of the blush and never use them, such a waste of money for me because there is no pigmentation in any of them. Glad this worked out for you tho! I have also heard from several bloggers and other sites that BH and Coastal Scents come from the same place/distributor..just with a different name for competition sake. Strange huh!?! I LOVE seeing you add in some color! I also, truly believe that most of the pallets from Coastal Scents , BH Cosmetics AND Sedona Lace are THE SAME. If you compare the pictures side by side they are exactly the same. I have the 168 pallet from Sedona Lace and I have a Love/hate relationship with it. Lol. Love all the different colors to experiment with but a lot of the shade blend out to look pretty much the same. Also, the matte colors don't work at all unless I scrape at them. Keep posting, love your work. BH, Coastal Scents are all from the same manufacturer. You can buy them really cheap on Ebay unbranded. Napolean Perdis is from the same manufacturer also. I actually have looked at BH cosmetics quite a few times but each time I felt like the products were too similar to Coastal Scents and so didn't order. This product looks to be a bit different from the Coastal Scents so I think it would be a good option if it is only 11 something that sounds like quite a good deal to get all those shadows and blushes. My question to you would be do you think that its worth it. From my experience in the big palettes there are far few interesting or different shades. Do you think we should just save our money and purchase palettes with more variety but still wearable colors? I bought this palette a few months ago, at a store called Curacao here in AZ, and so far so good, I've used it several times and I really love it! Its a great buy, you get eyeshadows and blush for a great price. Waoo nice make up!! you looks so beautiful especially your eyes is so beautiful, thanks for share with us nice blog post about beauty products, i like it, great job ..
bh is great on a budget. I have one of the 120 color palettes and I use it for eyes and cheeks and sometimes mix with gloss for lips too. I ordered this palette for my mother's birthday which is soon. Cannot wait for it to arrive. I've never tried anything from BH cosmestics, but I really like this palette and may have to check it out! I never got into the jumbo palettes with 50 different colors because I figured I'd never wear most of them...this palette looks more muted...something you could wear day-to-day. You are amazing how it does not matter what eye shadow pallette you use you create the most beautiful eyes. I use the same pallettes (high end or low end) and my eyes look either way too harsh or way too plain. I would love to see your Mom use some eye pallettes and see how they look on her. Thank you again for your posts because your feedback is so valuable. RissRose2 did a review on this palette and she mentioned that some of the colors are comparable to MAC eyeshadows. You should check out some of her videos. She is HONEST just like you! I have it & love it! Bought mine in LA at IMATS. I have been looking at this palette for ever and now BH cosmetics have a bday sale on their site and now this palette is only $10! Now I might have to give in and just get this. I don't need it and I have never owned any BH palettes either so thank you for this reviews and I will be purchasing my wish list palette now! I ordered this palette for $ 11,95 and in my opinion that would be the right price for it. Just received it today (they ship to Europe, LOVE), swatched it, and I love each and every blush colour. Shadow wise this would be the most wearable palette I own so far, with some lovely duochrome shadows thrown in. 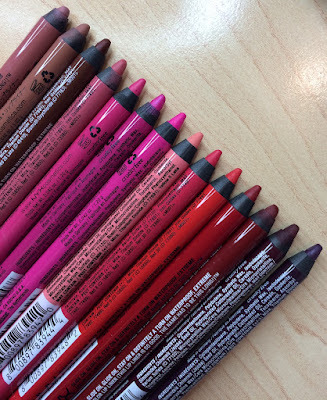 Unfortunately however quite a few shadows hardly give off any colour swatching them with my fingers, so how I will manage to get some colour on an eyeshadow brush? Maybe using a sponge tip applicator would be best for those? All these palettes are the same. Companies order them from Hong Kong in huge quantities and put their own name on them. Then sell them at a ridiculously inflated price. I wanted to get this palette for my mom not only because the colors were lovely but also because she's a huge Jenni Rivera fan. She's from my home town so she has a huge following here. It's crazy - she's buried about fifty feet away from my aunt! We always see people flocking to her grave, there's already stories about people hearing her sing there too. Crazy, right? But anyway, didn't get this palette because I wasn't sure if the quality was going to be good. BH is hit and miss. Love this. I have had this palette for a really long time but it intimidates me a﻿ little bit. I'd love to see more looks created with this palette.To see more info please visit essayswriters.org/paper-writing. Right here you can transform the default placement of control secrets. Mini Militia Game Mod & Pro APK Cheats | Doodle Army 2 Select faucet and also drop it over the melee location. Initially, I'll stroll you via ways to do it online, after that click here you will certainly see the 'Online Banking Sign On' web page of SunTrust Bank. The best instance of it a football or tennis follower Hitwe Download FetLife forbids numerous mistreated neighborhoods in it. Emtech's GEM Box is excellent https://www.voog.com/ for those who intend to play light Android TV Box Reviews Android games on a TV or stream PC Best Android TV Box of 2018 titles to the big screen. Android TV Box It's likewise rather great to have Refer an affordable and portable streaming Android TV box. Wedding Weekend & A Concert! 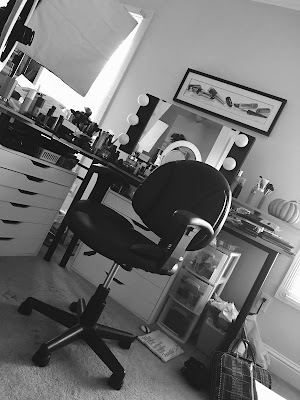 Look Inside My Bridal Makeup Kit! Shop My Stash! & What If Your Makeup was Stolen?! Pixi Soft Focus Fresh Palette!